Honda will showcase the Ridgeline Desert Race Truck concept at the SEMA, Las Vegas, commencing on November 3, 2015. This four-door pick-up truck is expected to launch in the market by the next year. 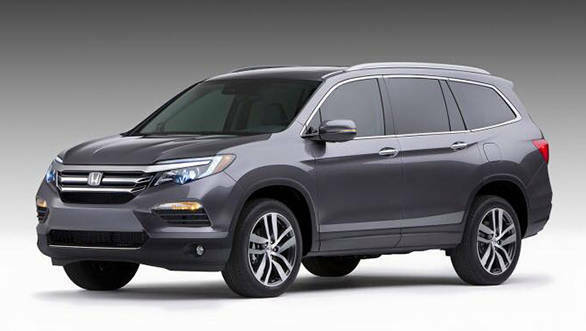 While the spy pictures and the sketch suggest that the Ridgeline Desert Race Truck retains resemblance to a pick-up, the new design is expected to be based on the 2016 Honda Pilot SUV. 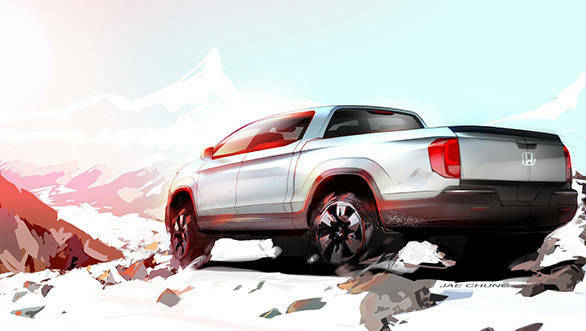 Apart from the design, the Ridgeline Desert Race Truck concept is also expected to share its engine with the 2016 Honda Pilot. The SUV will get an all new 3.5-litre V6 i-VTEC which produces 284PS of power and 355Nm of torque. The lower trims get a 6-speed automatic gearbox while the top trim is mated with an all new 9-speed automatic transmission. The Ridgeline Desert Race Truck will be displayed along with the accessorised 2016 Civic sedan, the Pilot SUV and the HR-V compact crossover project vehicles at the SEMA motor show.